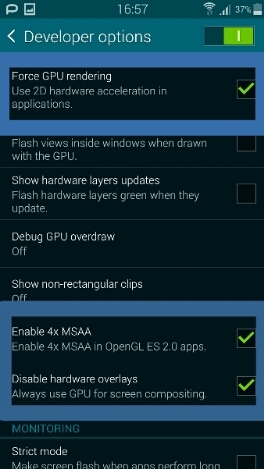 Lately (well not exactly "lately"...its more like "since forever") I've seen people complaining about actions taking to much time on Android. 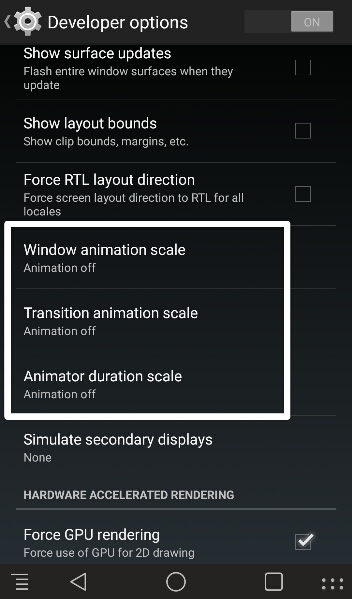 The problem is not with KaW application but with Android window, transition and effect animations being set to high by default. 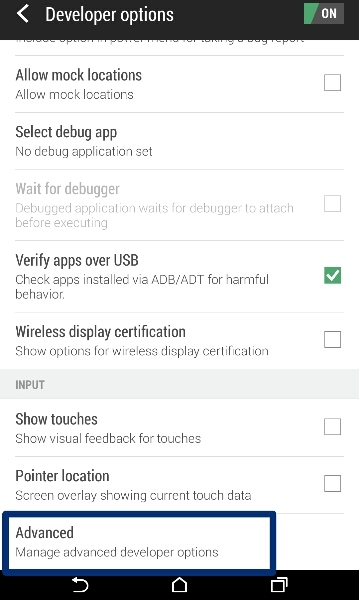 So here is a short and simple guide about how anyone (root is not required) can disable and improve their KaW user experience. 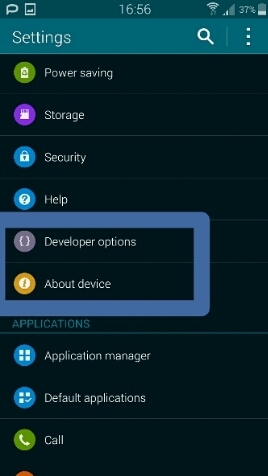 Once "Developer options" its activated tap on it, scroll down and set the animations like in screenshot bellow. 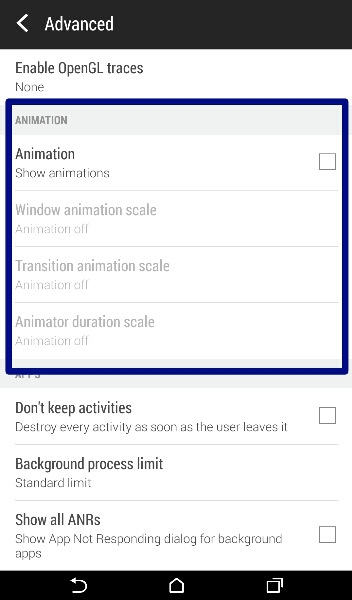 Step 3: Select "No animations"
If your phone is running on KitKat (Android 4.4) there's big chances to have ART (Android runtime support). ART offer performance and stability improvements. 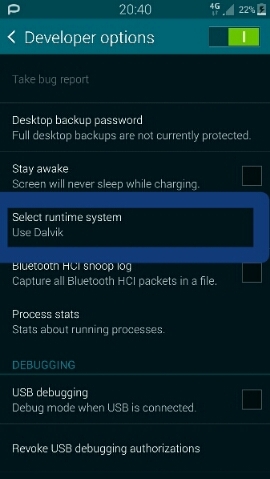 In order to switch to ART from Dalvik runtime you need to go to your old friend "Developer option", scroll down and tap on "Select runtime system"
The only downside for using ART is that application takes up to 25% more storage space. Disclaimer 1: ART is still in development stage so not every application have ART support. 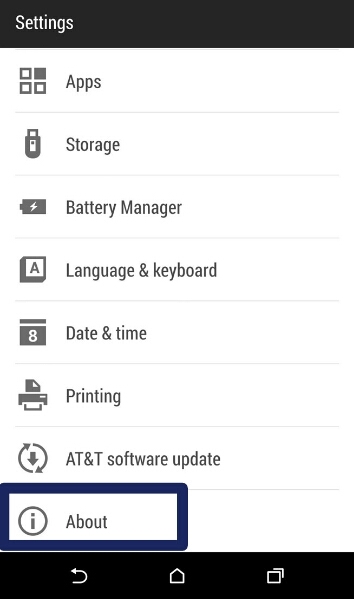 Some will have issues, for others you might not be able to install at all. 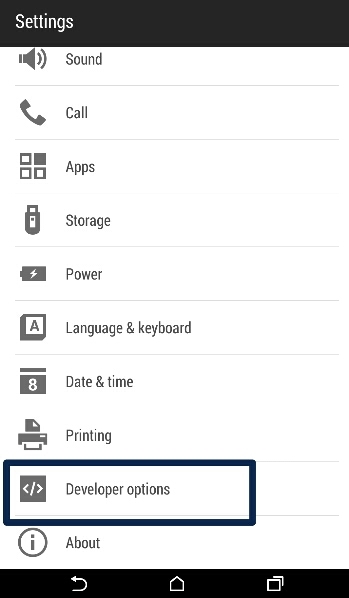 But Kingdoms at War (and most of common apps) supports ART and there is a huge difference between ART and Dalvik runtime. 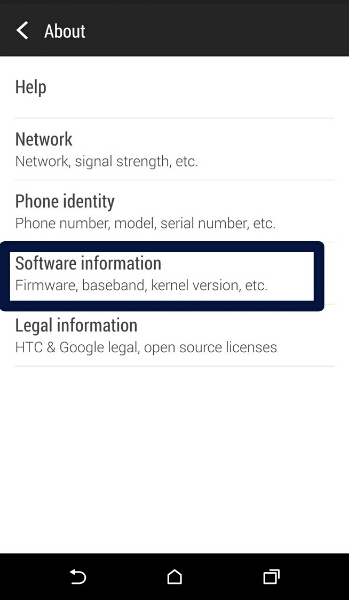 If one of the applications used by you do not support ART you can switch to ART before your EE war and switch back to Dalvik once your its war its finished. 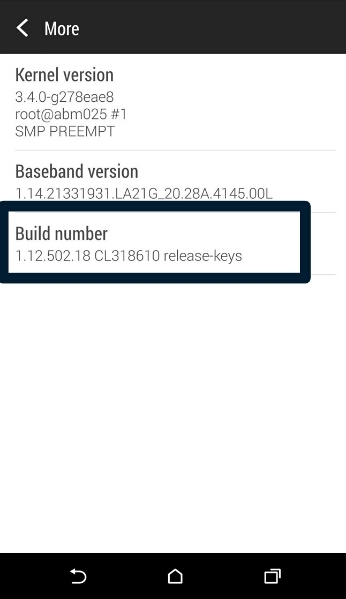 Disclaimer 2: if you are using Xposed Framework its MANDATORY to disable Xposed Franework BEFORE switching to ART. 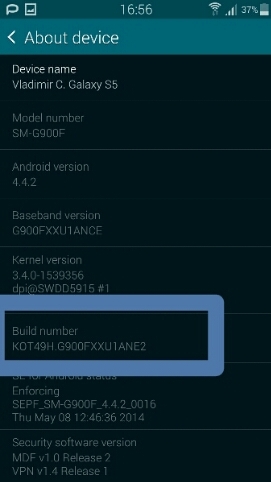 But anyway, if you don't know what Xposed Framework is then you are safe. For sure you don't have it. 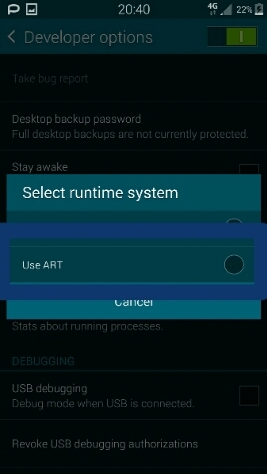 And if you do know what Xposed Framework is for sure you already know that ART is causing bootloap if you have Xposed Framework enabled. Last edited by IIIVladIII on Feb 17 2015, 6:20am, edited 8 times in total. 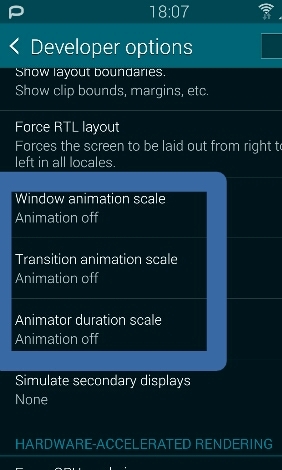 You can switch all animations off completely. 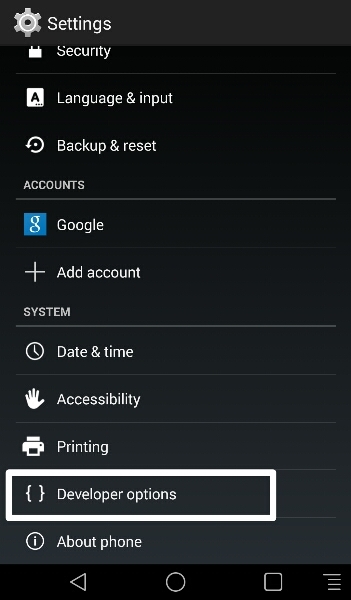 You can also limit the amount of background processes allowed. Mines set at a maximum of 1 lol. 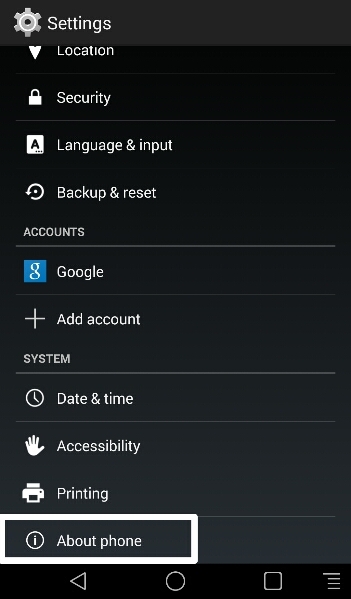 I just completely disabled the first 3 options. Phone works faster and i honestly done even notice the missing animations. Yes Zeus. you are right. I posted the wrong screenshot. 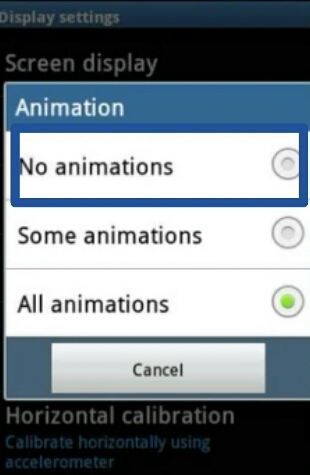 Supposed to be the one with "animaton off". Is fixed now. That's the good thing: there's no downsides. 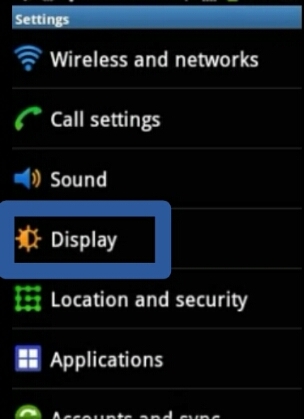 Its just a simple hidden feature on Android phones. 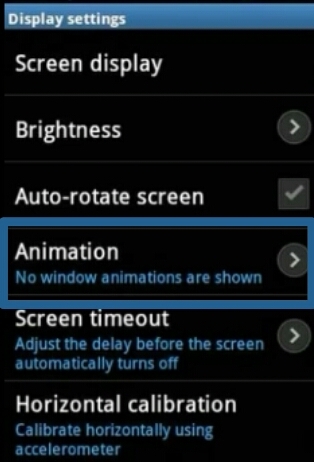 Actually there's a pro: disabling animations does slightly improve your battery life.